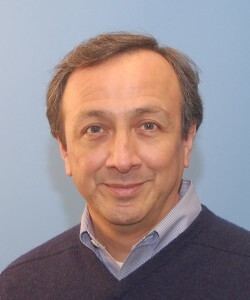 Congratulations to Computer Science and Engineering Distinguished Professor J.J. Garcia-Luna-Aceves, CITRIS Campus Director and Jack Baskin Endowed Professor of Computer Engineering, for winning Best Paper Award at the IEEE International Performance Computing and Communications Conference (IPCCC) in Orlando, Florida last month. The IPCCC is a premier IEEE conference presenting research in the performance of computer and communications systems. For over three and a half decades, IPCCC has been a research forum for academic, industrial, and government researchers, encouraging submission of high-quality papers reporting original work in both theoretical and experimental research areas. Garcia-Luna-Aceves’ paper, “Implementing Correct and Efficient Collision Avoidance in Multi-Hop Ad-Hoc Networks,” was selected from 66 papers accepted out of all 228 submissions.